The Ebla Tablets predate the Biblical record that is ascribed to Moses and confirm many of the names, locations and other assertions found in the Mosaic text of the Old Testament. 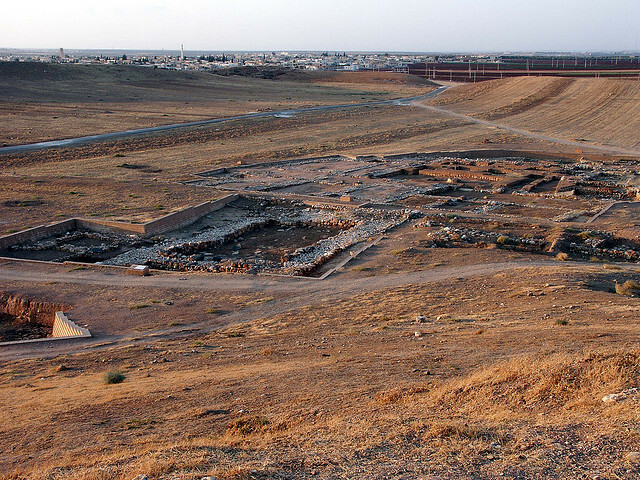 Professor Paolo Matthiae of the Rome University has been excavating in Tell Mardikh, Syria (ancient Ebla, a/k/a Sumaria) since 1964. He has found approximately 17,000 tablets, including one tablet stating that the city had a population of 260,000. Professor Giovanni Pettinato, the epigrapher from the University of Rome, has been working on the tablets, which are a collection of records kept near the central court in what was once a royal city. The Ebla Tablets are the kind of discovery that scholars dream about. They date from about 2400 BC to about 2250 BC (the time of the destruction of Ebla). Many of the historical texts can be tied in with other known records, including the Old Testament. They include personal names, geographic names, lists of animals, fish, birds, professions and names of officials. The literary texts include myth, incantations, collections of proverbs and hymns to various gods, many of which are referenced in Babylonian literature of a later time. The tablets identify many towns also referenced in the Old Testament, including Salim (possibly the city of Melchizedec), Hazor, Lachish, Megiddo, Gaza, Dor, Sinai, Ashtaroth, Joppa, Damascus and Urusalima (Jerusalem). The tablets also reference a creation account similar to the Genesis account, treaties and covenants, ritualistic sacrifices, prophetic statements, though these references differ in complexity and character to the biblical references of the same things. The Ebla tablets indicate that critics who argue that Moses invented the stories in Genesis and that people in Old Testament times were too primitive to record documents with such precise detail are wrong. The Ebla tablets predate the Old Testament. The tablets confirm names and locations in the Old Testament text. Places such as Canaan, Sodom and Gomorrah and Haran (the city of Abraham’s father) are proven to be more than fictional, having been identified centuries before the Old Testament times. The evidence uncovered by archaeology over the years has provided little help to the skeptics. In fact, archaeological discoveries over the years have almost inevitably confirmed names, places and events that are referenced in the Bible. This entry was posted on August 22, 2015 at 5:34 am and is filed under Apologetics, Archaeology, Archeology, Bible, History. You can subscribe via RSS 2.0 feed to this post's comments.